Are you ready to have a fabulous time with your friends? 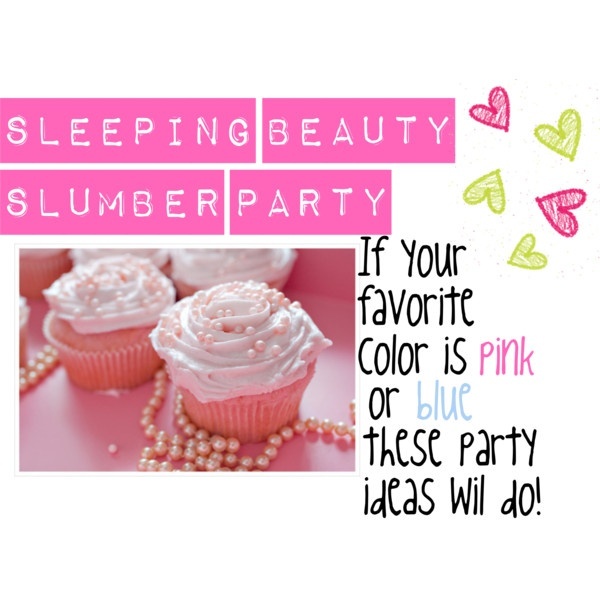 Have you been searching for fun party ideas for girls? Do you wish to plan a super sleepover, rustic camp out, or colonial tea party? 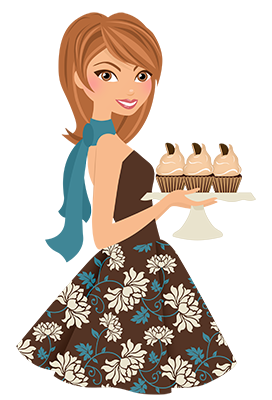 Looking for some surefire ways to make your next Birthday party (or just because party) a hit? I’m your girl for the job! Consider me your, personal, VIP Party Planner. I stand before you with a clipboard in my right hand, and a desire to make your party the best ever! Are you ready? Okay, let's start by asking some basic questions! Who would you like to invite to your shindig? Do you want a small get together with a handful of your closest friends? Or are you looking for a way to reach out and get to know the new girl you met at soccer practice? Ask your parents how many you can invite. Then write down a list of everyone who absolutely must attend. 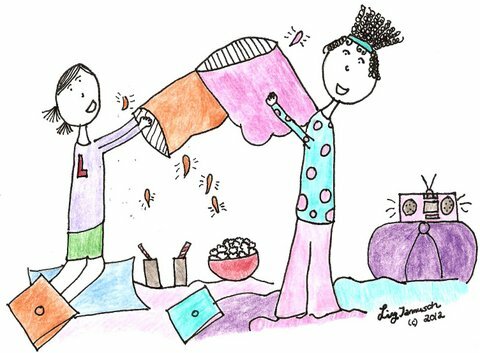 If you would like to do girly things such as paint nails, watch a chick-flick and talk about boys…then I would keep the No Boy’s Allowed sign hanging on the door. But if you would rather play sports, be active, and get to know some of the boys at school better…then hold the pink frosting, and keep your activities boy friendly. When planning your guest list it's important to take these things into consideration. Does Everyone On My Guest List Get Along? I made a cringe worthy party-pooping mistake several years in a row. I hope to spare you the misery of such a goof. I managed (several years in a row) to invite a few girls who didn’t exactly get along. I didn't think it would be a problem, hoping that maybe these girls would declare a temporary truce… but it honestly made the whole thing un-enjoyable for everyone. No party hostess should feel like she has to choose sides between fighting friends. If you have friends who drive each other nuts, perhaps you could consider hosting two separate parties. Maybe your Drama Group friends all know one another and get along. But they've never met your crazier friends from your soccer team. Why not have a Star-Studded-Karaoke-Party for your diva friends, then an all day sports event for the others? If two separate parties isn't an option, ask yourself who you really wish to attend the most. Then save the others for a later date. This does not mean you can’t invite Susie, your friend from Youth Group, to a party with a group of friends that she’s never met. This could be a great opportunity for Susie to make some new friends! Don’t feel like it’s a golden rule that all your friends must know one another…it’s just a small tip that could make your party day more comfortable for everyone. Have your invite list written out? Great, now that we’ve nailed down the Who of your party…it’s time for the What. What would you like to spend your time doing? Parties and get-togethers hold endless possibilities. Here's a list of ideas to get the ball rolling. Play water games in the yard. Dress up and take pictures. Have some girl talk time. Once you choose your favorite activities, write out a party plan schedule! Allow enough time (between fifteen minutes and half an hour for each activity) for everything on your list. While choosing your activiites, remember to keep your friends in mind. What would they most enjoy doing? Where would you like to have your party? Space is always something to consider. Do you have a large yard, basement or living room where there will be enough room to frolic and play? Or do you live in tight quarters? If your home isn’t party-friendly, why not asking a friend or Grandparent if you might host your event there? There are also many public places which offer space for parties. Such as restaurants, golf-courses and public parks. After you spend some time dreaming about what you might like to do at your perfect party, it's time to set a date! Make sure that your invitations include clear information about each of these details. Offer a starting and end time of the party. Let guests know what they need to bring. Send the invites out at least three weeks in advance. Some girls like to pass out their invitations in person. I would highly suggest mailing them. Passing out invitations in person can be rude when there are other girls around are not invited. They will feel left out, and you don’t want anyone to feel bad! There’s nothing more crushing than feeling un-included. Every great party has a theme. Meaning, there is a center idea which ties everything together. All the games, food, and decorations coordinate in order to mesh with your theme. Although a theme isn't necessary to have a great time, they sure are fun! How can a girl choose a dream theme? Easy! Just pick what you love! Invite everyone on your guest list to come dressed like a rock star! Provide posh accessories for those who don’t bring anything with them, such as scarves, funky boas, hats, belts, bags, sunglasses, lip-gloss and nail polish. Jazz up your party space with funky lava lamps, sparkly white Christmas lights, and a home-made disco-ball! To make a disco ball, simply recycle your old C.D's. Carefully cut them into squares, and glue them onto a Styrofoam ball. Use funky beads, streamers, or ribbons to to hang over the doorways. For extra fun, use fancy frames to display sparkly Hollywood-Inspired words for every room. When your guests arrive, it's important to make them feel comfortable. After all...they are the celebrities! Greet everyone with a warm smile and if they don't know everyone at the party, introduce them. Serve up some snacks, and have a little party music playing in the background. Help everyone get ready to party with your first activity! "Am I on Disney Channel?" Everyone else must answer her questions...without giving the secret away! The first girl to discover her celebrity identity wins! Continue playing until everyone knows who they are. To make the game last longer, explain that for the rest of the party, everyone must call each other by their new celebrity names. Give each girl a three hundred dollar bills in Monopoly Money. Every time they slip and forget to call someone by their celebrity name- they loose a hundred dollars! The celebrity with the most cash at the end of your party, wins! Tell your guests that they've all been chosen for an exclusive audition. Who wants to play Karaoke Idol? Choose three judges (this could be a great job for parents or siblings who wanna help). Set up a judging table for them. Gather all your friends “backstage” then have the judges call you forward one by one. This is your first “audition.” The judges will ask a few questions about your guest then ask them to "sing" a few bars. The star-wanna-be will start lip-synching with whatever song the judges play! Since this is only phase one of your party everyone who auditions will be chosen to "Go to Hollywood!" Choose your "audition" playlist ahead of time. Gather up a fun mix of party songs performed by popular artists and have them ready to go on a C.D, your iPod, or your computer. Judges will secretly choose what song each person will lip synch to. What if she doesn't know the words? Get ready for some serious laughs! It’s time for everyone to get all dolled up before their big Hollywood debut! Spend time applying nail polish, mixing and matching with accessories, applying body glitter and costume jewelry. After everyone is set, it’s time for the photo shoot! Have your Dad or another family member who’s not busy, take pictures of the superstars! Turn on the video camera and get this party rolling! Have each contestant choose the song they’d like to perform (lip synch), then go one by one. This time the judges will only choose two favorites to go onto the final round! Treat all your VIP’s to an exclusive snack table. These ideas are sure to bring home some grammys! After eating it’s time for the big finale! The two final contestants will go head to head. After the judges pick a winner, she will be crowned superstar! Give her a special prize. Give all your guests a special autograph book and exchange autographs and write memories before sending everyone home. Looking for themed party ideas? 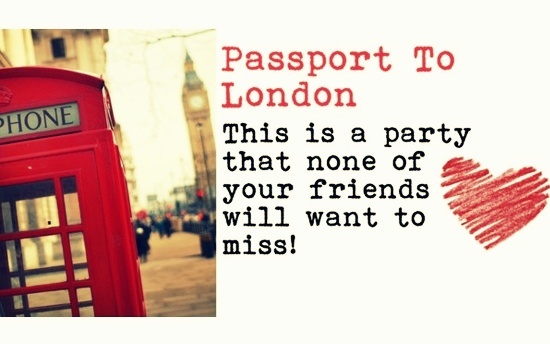 Check out our Passport To London Party! 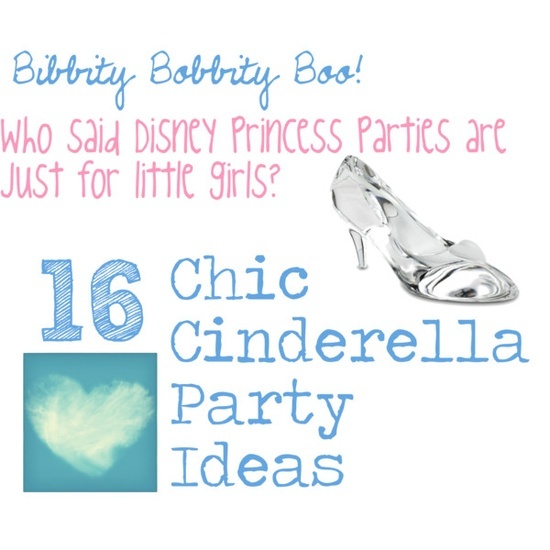 Or have a sophisticated Cinderella Party!